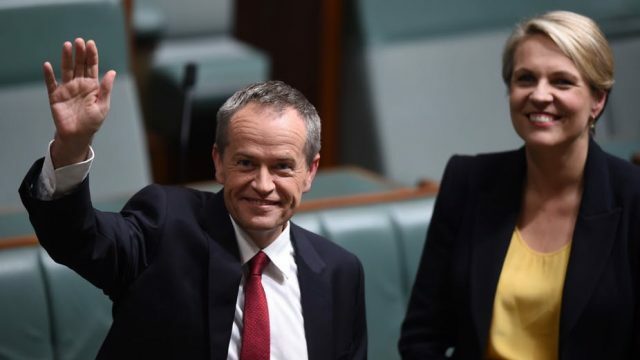 Last night, Bill Shorten delivered his response to the Federal Budget. While we were promised many a thing, such as the extension of tax breaks to below what the Coalition offered, the elimination almost all of the out-of-pocket costs for those undergoing cancer treatment, and (per Nine News) “a guarantee that all drugs recommended by independent experts for listing on the PBS will be listed,” there was something missing. Disappointingly, despite all their rhetoric to support the marginalised majority, they’ve left out those who need them the most. As it stands, we’re at the 25th year in a row where welfare has not increased. Clearly, Labor is playing it safe from a political standpoint. Increasing welfare, and doing exactly what Mathias Cormann said he wouldn’t, would embolden the base, but theoretically turn those in the middle (who they’re clearly playing to) against them. After all, an increase in welfare sounds like an increase in debt, especially to those who know no-one on welfare, they’re a shiftless, nameless mass who should really put the pipe down and get a day’s work into them. For those on welfare, today should be seen as a massive blow. Clearly, the ALP was our great white hope. They are the government who cares, seemingly. Every line we sit in, every unfair recalibration of conditions, or every payment suspended for no reason, we sat it out on the assumption that a change of government would see them institute a new system. Or at the very least, do what hasn’t been done since 1994, and increase the payment. As it stands, those who receive Newstart are more than $200 underneath the poverty line. This should be a well-known fact. It’s been part of the discussion on a singular and policy level. Disappointingly, those who condescended us, claiming that they wouldn’t leave the unfortunate behind, certainly have. As recently as December, the party seriously considered the rhetoric of the Australian Council of Social Service asking them to endorse a two-step process where Newstart would be increased by $75 a week, followed by a review of the payment. So far, that has not come to be. Last night, the other shoe clearly dropped, and so did the hopes of those who go hungry or those who somehow scratch out the most meagre of livings on the taxpayer dime. We’ll endure, as many of us have no other choice, as many of us are either too sick to work, or are escaping relationships, or reliving the trauma that has thrust us into a place where we need to rely on such a payment. The trapdoor of society, especially to those who hover over it, has always been precarious. The meagre increase would not see us living large, it will see us continue living. Whoever said it, it’s the hope that kills you. You hope that one party is different from the other, and those who speak empathy truly mean it. While the Coalition has been our primary foe since robodebt, or since they booted almost everyone off the disability payment to find jobs we could not perform, the ease of their antagonism was easy to unpack. But for Labor, to say one thing, and mean the other, it’s nothing short of gaslighting. We need your help, Bill. Be brave. Todd is a few sandwiches short of a picnic, a few screws shy of a table and less patience than a discredited doctor.